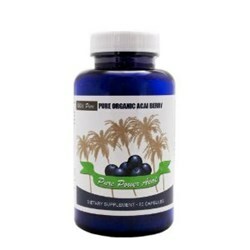 After six months of sales in the Amazon marketplace the 100% pure organic acai berry launched by Superior labs with the help of Phare Enterprises is one of the hottest selling acai berry supplements within Amazon. Prior to launching their supplement on Amazon Superior Labs was selling their acai berry diet pills locally to mom and pop supplement shops. In an attempt to reach a larger market of customers Superior Labs contact Phare Enterprises to help them expand their product offering through the online world. After only six months within the Amazon marketplace their sales had skyrocketed and they were able to reach a whole new demographic of customers both directly and indirectly. In addition they were able to sell directly to consumers which increased their profit margin. Superior Labs 100% certified organic acai berry weight loss supplement was created for customers looking for an all natural and certified organic acai product. In addition they chose to make this product in the USA to take advantage of a consumer trend in buying strictly USA products. Superior labs noted that one reason for the success of their products is their offering of supplements that are made in the USA as well as some supplements being 100% certified organic. One such example is the recent successful launch of their natural testosterone booster also in the Amazon marketplace. With the recent trend in consumers looking for not only all natural products but also made in the USA it has positioned Superior Labs to capitalize on this segment in the industry. Phare Enterprises run by Jake Hyten has been helping small businesses like Superior Labs bring their product to the marketplace through online technologies and marketing mediums. Phare Enterprises has increased revenues for dozens of companies in the hundreds of thousands of dollars.